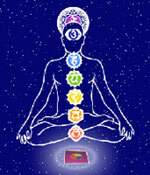 Essential oils can be quite effective in awakening the chakras in our body. Learn about the seven chakras of our body, and how essential oils can help their expansion for healthy Mind, body and soul. Essential oils help us in meditation, concentration and to get in touch with our Higher self by channelising our energy. Learn the various properties of essential oils that help us to put our emotions and spirituality in perspective. Aromatic jewellery is the new and elegant way to enhance our looks with overall well being. An application of aromatherapy, where aromas comes in handy and how to make the best of it is described in this article.